In this video blog (video is at the end of this page) I'll show you how to create great looking video with your smart phone, upload it to YouTube and then edit it using the YouTube Video Editor. No longer do you have to pay thousands for a video production company to do it because now the technology in your phone is Broadcast quality and you can do most of it yourself. Establishing Long Shot of me at conference table with Title text over the video. Mid Shot of Me introducing how I film stuff. Cut-away of Me showing how to frame shots and lighting. Video of Me showing how to upload the video to YouTube from my phone. Screen recording of me editing the video in YouTube. Mid Shot of me summarising what I just did. Here's some examples of different camera shots: click here. Here's an example of a more detailed Story Board: click here. Don't film against a window or your subject will be too dark. If you need more light use flourescent light; not incandescent lights that get hot. Eyes should be at around 2 thirds of the screen so your subject doesn't look too short or tall. 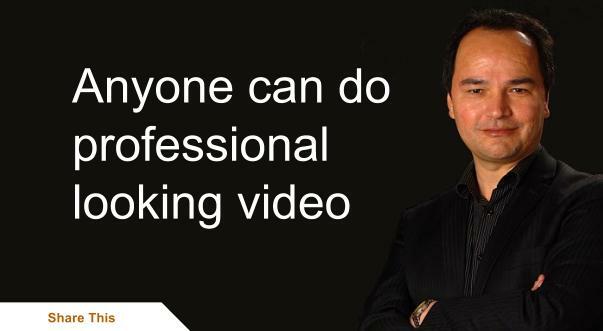 Leave some "speaking space" in the shot so your subject doesn't looked cramped when speaking. The camera/phone should be still. Either on a tripod or held in place with some blue tack or something else holding it in place. Make sure your phone is using a wireless Internet connection such as work, home or even a free service available at McDonalds or Burger King or it may cost you additional fees through your mobile provider such as Spark or 2Degrees. When I film, if I need to redo the footage I delete the old one first. This makes sure that only the good videos are on my phone so I don't get confused when I need to upload them. In the left menu of YouTube click "Create" then "Video Editor". This will give you a list of all the present video projects that you're working on and will also allow you to create new ones.